1. 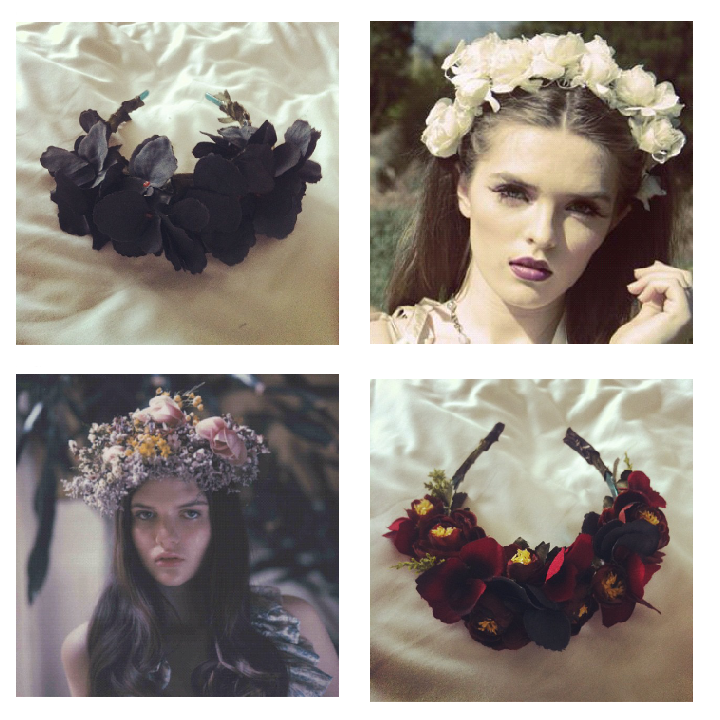 Ready-to-wear flower crowns. Our current Fall/Winter 2012 collection has seven different pieces. 2. Bespoke crowns with option for freshly-cut flowers for those fairy tale nights.